Continuing our look at some of the programs operated by RITSI for the benefit of the Real ITSM community (recall that "community" is used here inclusively to cover all vendors, analysts and consultants who share in the Real ITSM industry), today we look at compliance certification. Recently we looked at RITSI, the shadowy group who run Real ITSM. Now we look at some of the programs operated by RITSI for the benefit of the Real ITSM community (recall that "community" is used here inclusively to cover all vendors, analysts and consultants who share in the Real ITSM industry). Today, we look at BapITSM. Business And Professional ITSM is a registration program for Real ITSM practitioners. For a small fee, Real ITSM professionals can become full accredited members of the RITSI. Who are these people who run Real ITSM? 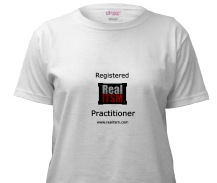 Real ITSM is represented by the Real IT Service Institute, or RITSI. The Institute is incorporated in London (London, Tanzania not London, England). Membership is inclusive: open to all vendors, consultants, trainers, examiners and publishers without exception (unless we don’t like you). The RITSI Board of Directors is elected by the RITSI Board of Directors. Nominations are open to anyone who we tell. In order to serve its international constituency, the Board meets in resorts worldwide. Here is a little newsletter from CultITSM to let you know that membership of the Real ITSM Group on LinkedIn just passed 300! Not bad for a group that once tried to get to 100 members. Our next goal is of course to exceed the itSMF International group membership of 1369. We've already exceeded 20% of that without being pimped by major vendors or having our logo and address on every ITIL book. Not bad eh? The Real IT Service Institute (RITSI) is proud to announce the release of Real Lean Green SixSigma Cloud SaaS ITSM, or RLGSSCSSITSM for short(-ish). In order to regulate the Real ITSM industry, and thereby protect the integrity of RITSI and public confidence in Real ITSM, RITSI issues compliance certification to users, products, and services under the FavorITSM program. Hurry! Buy the book now and double your money! Yes it's true! If you buy the Introduction to real ITSM for the low low price of $18.99, its resale value is over forty dollars!. But don't take our word for it: check it out on Amazon.com. See for yourself. Easy money! Buy now! In a surprise move today, the British government standards agency announced that going forward from this date all Information Technology Service Management assessments (of people, organisations or products) are to be based on Real ITSM instead of ITIL.